Step into the residences at One Snowmass, and you’ll understand it’s all about the views…sweeping up mountain, stunning down valley and vibrant plaza views are showcased in these homes! We invite you to experience these functional yet refined contemporary-styled homes first-hand with our virtual tour below. The spacious two-, three- and four-bedroom homes were designed with flexible family living in mind. Anchored by a great, metal-clad fireplace, the living areas continue out into private balconies providing even more space for family and entertaining. Gourmet kitchens boast contemporary European appliances from Gaggenau with spaces perfect for prepping for a Saturday night cocktail party or baking cookies with the kids on a snowy day. Relax in the intimate dining area with cozy seating that lets you connect over a favorite meal. Bedrooms offer luxurious sanctuary from all of the day’s adventures, featuring a spa-like, five-fixture master bath in most residences. 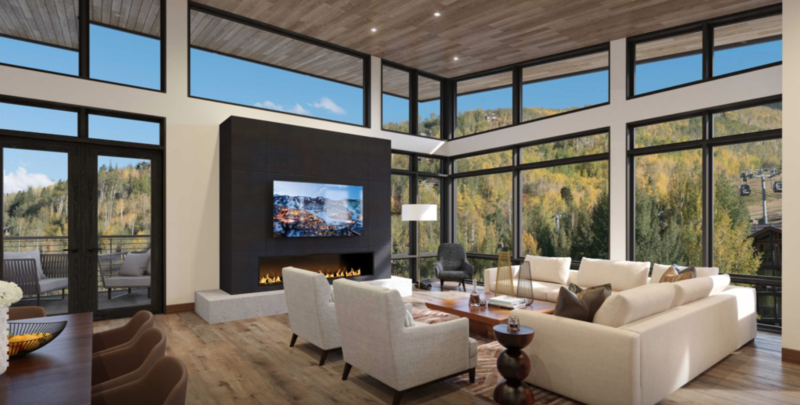 To learn more about life at One Snowmass in the Base Village, email us, stop by our Sales Center or contact your local real estate professional.